Google is kissing WebKit goodbye, announcing it will fork the widely used layout engine that renders web pages for its Chrome browser. and instead develop a new rendering engine, Blink. "Today, we are introducing Blink, a new open source rendering engine based on WebKit," wrote Google software engineer Adam Barth in an official Chromium blog post. Calling the move "not an easy decision," Barth said that the new Blink rendering engine can have significant implications for the web. "We believe that having multiple rendering engines - similar to having multiple browsers - will spur innovation and over time improve the health of the entire open web ecosystem." WebKit was first developed by Apple as a fork of KHTML in 2001 and was open-sourced four years later to further development by the open source community. 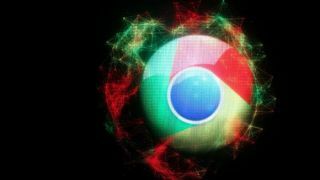 Google took advantage of this, using WebKit to render pages for its Chrome browser, which is now the most popular browser in the world. Powering both Apple's Safari browser and Google's Chrome browser with shared technology, the WebKit layout rendering engine accounts for 40 percent of browser usage. Those not on board include FireFox, which uses a rendering engine called Gecko, and Internet Explorer, which uses the Trident layout engine. Google's split with the Apple-developed rendering engine will certainly loosen the market share held by WebKit over time. WebKit remains the most popular layout rendering engine for browsers, and that won't change right away, as Google's Webkit-to-Blink transition is just now getting under way. "In the short term, Blink will bring little change for web developers," wrote Barth. "The bulk of the initial work will focus on internal architectural improvements and a simplification of the codebase." "For example, we anticipate that we'll be able to remove 7 build systems and delete more than 7,000 files - comprising more than 4.5 million lines - right off the bat." The goal of Blink over time is to create a healthier codebase that leads to more stability and fewer bugs.